I know this, because we were one of those. 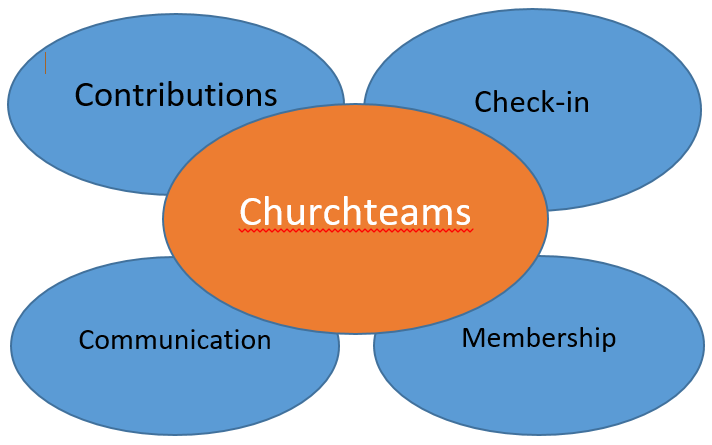 We coined the term small group software and revolutionized how churches shepherd their groups. But, we knew 10 years ago, that, as the industry matured, niche software solutions would give way to complete solutions. That is exactly what we are seeing ... and have become. My prediction is that this will happen with online and text to give solutions in the same way it happened with us and others. Here's some concerns people have about this idea. We want the best-of-class solution. There is so much creativity and simplicity in recent giving solutions that it revolutionized the whole experience. No one wants to have to put all that information in just to give. We loved the experience. So, we built it. And, so will other complete ChMS'. But, now instead of having to integrate with another data silo and pay other provider costs, you can do it in one place with far less complexity. The problem with best of class solutions is that in 2-3 years, they are no longer best-in-class. Not as long as there are software providers that are innovative and committed to constant change. The marketing looks so great. In the past 5 years, investment and private equity firms have figured out the potential value of providing online giving services to churches. So, they put a ton of money that has not historically been in the industry into marketing their solution. The hope being that they can consolidate the market to such an extent that they can control payment processing fees. As with all marketing, be careful. How can you possibly provide that level of excellence? Writing software is like writing a book. More programmers and more money don't translate into a better product. Excellence in software development comes from a clear strategy, execution and the ability to innovate. In fact, smaller companies have far greater agility to innovate than larger ones. And, they have a much higher level of ownership and care about making something truly excellent.